Since 2008, we've worked to encrypt the connections between our users and Google servers. Over the years we've announced that Search, Gmail, Drive, and many other products have encrypted connections by default, and most recently, we've made a similar announcement for our ads products. In this same vein, today we're expanding on the HTTPS Everywhere mission and beginning an initial rollout of HTTPS support for Blogspot. HTTPS is a cornerstone of internet security as it provides several important benefits: it makes it harder for bad actors to steal information or track the activities of blog authors and visitors, it helps check that visitors open the correct website and aren’t being redirected to a malicious location, and it helps detect if a bad actor tries to change any data sent from Blogger to a blog visitor. While this initial rollout won’t support all of our Blogger users, we wanted to take the first step to make HTTPS available for Blogspot; for those users who want to try it early. We’re rolling this out gradually and Blogspot authors interested in enabling HTTPS support can begin opting-in today. 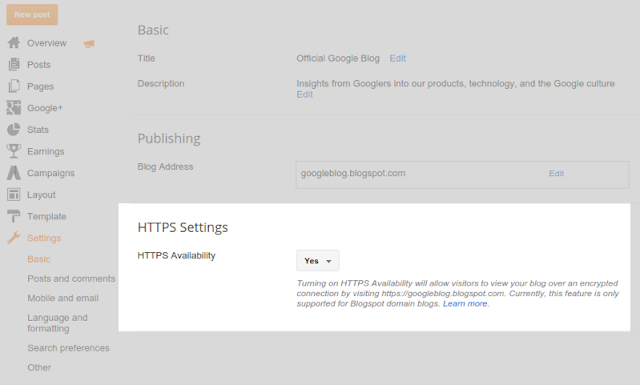 Simply log into https://www.blogger.com, click on the blog you’d like to make HTTPS enabled, navigate to the Settings page, and select "yes" for "HTTPS Availability". Unfortunately, blogs with custom domains are not supported in this first version. Once enabled, your blog will become accessible over both HTTP and HTTPS connections. Blogspot authors should be aware that if they choose to encrypt at this time, some of the current functionality of their blog may not work over HTTPS. This can be a result of template, gadgets, and blog post content, and is often caused by mixed content errors, some of which may be fixable by the author themselves. We’ll also be moving some of our own blogs over to HTTPS gradually, beginning with the Official Google Blog and the Google Online Security Blog. For the Blogspot authors who try this out - we’re interested to hear your feedback while we continue to improve this feature and its capabilities! For more information, visit our Help Center. Posted by Jo-el van Bergen, Software Engineer, Security. Recently, we teamed up with top researchers exploring innovative anti-abuse strategies to build a holistic understanding of for-profit abuse. The full report, which you can read here, was presented in June at the Workshop on the Economics of Information Security 2015. In aggregate, the problem may appear intractable to stop. However, if we view this scenario in an economic light, then increasing the cost of fake accounts, phone numbers, or compromised websites cuts into the profitability of abuse. In the end, abuse propped up by cost-ineffective resources will crumble. Given the complex underbelly of abuse, we pulled together experts from industry and academia to build a systematic understanding of how criminals operate. Our previous example represents just one configuration of a value chain. In our example, revenue originates solely from victims buying counterfeit products. Criminals could adapt this strategy to scam users into paying for fake anti-virus, defraud advertisers via clickbots, or liquidate a victim’s banking assets. Regardless of the composition, we argue there is always a profit center through which victims transfer new capital into the underground. These schemes form a spectrum between selling products to unwitting victims to outright theft. A medley of alternatives such as dating scams, call-center scams, premium SMS fraud, DDoS extortion, or even stealing and re-selling gaming assets all fall within this spectrum and ultimately derive a payout from victims outside the underground. These profit centers are in turn propped up by an ecosystem of support infrastructure that can be configured arbitrarily by criminals per their requirements. This infrastructure includes compromised hosts, human labor, networking and hosting, and accounts and engagement—all available for a fee. For example, 1,000 Google accounts cost on the order of $170, compared to CAPTCHAs which cost $1 per thousand. These costs reflect socio-economic factors as well as the impact of technical, legal, and law enforcement interventions on the availability of resources. Client and server-side security has dominated industry’s response to digital abuse over the last decade. The spectrum of solutions—automated software updates, personal anti-virus, network packet scanners, firewalls, spam filters, password managers, and two-factor authentication to name a few—all attempt to reduce the attack surface that criminals can penetrate. While these safeguards have significantly improved user security, they create an arms race: criminals adapt or find the subset of systems that remain vulnerable and resume operation. To overcome this reactive defense cycle, we are improving our approach to abuse fighting to also strike at the support infrastructure, financial centers, and actors that incentivize abuse. By exploring the value chain required to bulk register accounts, we were able to make Google accounts 30–40% more expensive on the black market. Success stories from our academic partners include disrupting payment processing for illegal pharmacies and counterfeit software outlets advertised by spam, cutting off access to fake accounts that pollute online services, and disabling the command and control infrastructure of botnets. Our primary consideration in these situations is always the security and privacy of our users; we currently do not have reason to believe they were at risk. As the previously announced transition to SHA-256 certificates is nearing completion, we are planning the next changes to Google’s TLS configuration. As part of those changes, we expect to disable support for SSLv3 and RC4 in the medium term. SSLv3 has been obsolete for over 16 years and is so full of known problems that the IETF has decided that it must no longer be used. RC4 is a 28 year old cipher that has done remarkably well, but is now the subject of multiple attacks at security conferences. The IETF has decided that RC4 also warrants a statement that it too must no longer be used. Because of these issues we expect to disable both SSLv3 and RC4 support at Google’s frontend servers and, over time, across our products in general, including Chrome, Android, our webcrawlers and our SMTP servers. (Indeed, SSLv3 support has already been removed from Chrome.) The SSL Pulse survey of the top 200,000 HTTPS sites finds that, already, 42% of sites have disabled RC4 and 65% of sites have disabled SSLv3. Google's frontend servers do a lot more than terminate connections for browsers these days; there are also lots of embedded systems talking to Google using TLS. In order to reduce the amount of work that the deprecation of outdated cryptography causes, we are also announcing suggested minimum standards for TLS clients today. This applies to TLS clients in general: certainly those that are using TLS as part of HTTPS, but also, for example, SMTP servers using STARTTLS. We can't predict the future, but devices that meet these requirements are likely to be able to continue functioning without changes to their TLS configuration up to 2020. You should expect these standards to be required in cases where Google runs certification programs, but it’s a very good idea to meet them anyway. Devices that don’t meet these standards aren’t going to stop working anytime soon (unless they depend on RC4 or SSLv3—see above), but they might be affected by further TLS changes in the coming years. In order to make testing as easy as possible we have set up https://­cert-test.­sandbox.­google.­com, which requires points 1–3 to be met in order to make a successful connection. Thus, if your TLS client can’t connect to that host then you need to update your libraries or configuration. At the moment the certificate chains that Google properties serve most often include a cross-sign from our CA, GeoTrust, to our previous CA, Equifax. This allows clients that only trust our previous CA to continue to function. However, this cross-sign is only a transitional workaround for such clients and we will be removing it in the future. Clients that include our required set of root CAs (at https://pki.google.com/roots.pem) will not be affected, but any that don’t include the needed GeoTrust root may stop working. For the last few months, we’ve been raising awareness of the ad injection economy, showing how unwanted ad injectors can hurt user experience, jeopardize user security, and generate significant volumes of unwanted ads. We’ve used learnings from our research to prevent and remove unwanted ad injectors from Google services and improve our policies and technologies to make it more difficult to spread this unwanted software. Today, we’re announcing a new measure to remove injected ads from the advertising ecosystem, including an automated filter in DoubleClick Bid Manager that removes impressions generated by ad injectors before any bid is made. 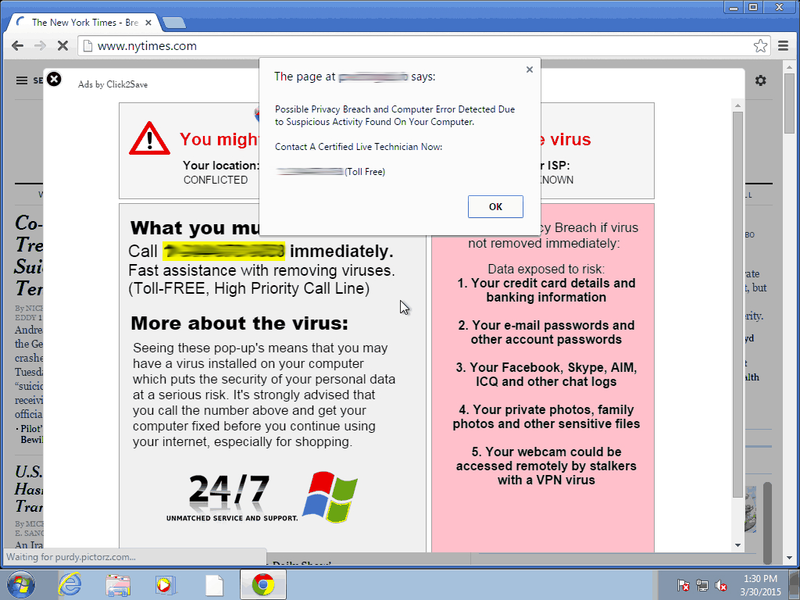 Unwanted ad injectors are programs that insert new ads, or replace existing ones, in the pages users visit while browsing the web. 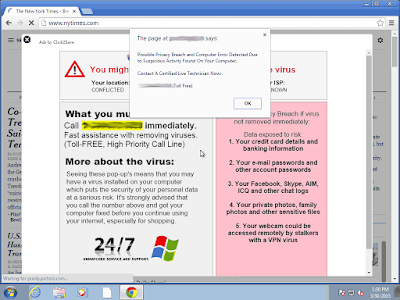 Unwanted ad injectors aren’t part of a healthy ads ecosystem. They’re part of an environment where bad practices hurt users, advertisers, and publishers alike. Not only are they intrusive, but people are often tricked into installing them in the first place, via deceptive advertising, or software “bundles.” Ad injection can also be a security risk, as the recent “Superfish” incident showed. Ad injectors are problematic for advertisers and publishers as well. Advertisers often don’t know their ads are being injected, which means they don’t have any idea where their ads are running. Publishers, meanwhile, aren’t being compensated for these ads, and more importantly, they unknowingly may be putting their visitors in harm’s way, via spam or malware in the injected ads. 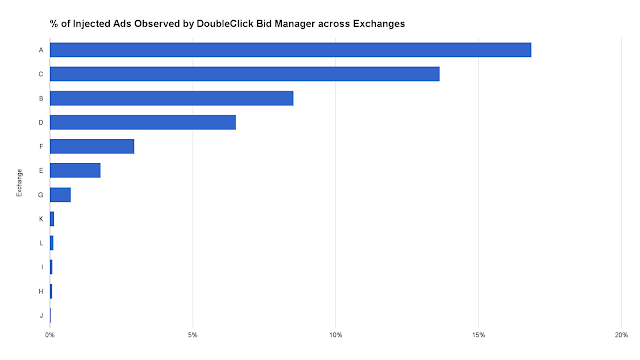 Earlier this quarter, we launched an automated filter on DoubleClick Bid Manager to prevent advertisers from buying injected ads across the web. This new system detects ad injection and proactively creates a blacklist that prevents our systems from bidding on injected inventory. Advertisers and agencies using our platforms are already protected. No adjustments are needed. No settings to change. We’ve always enforced policies against the sale of injected inventory on our ads platforms, including the DoubleClick Ad Exchange. 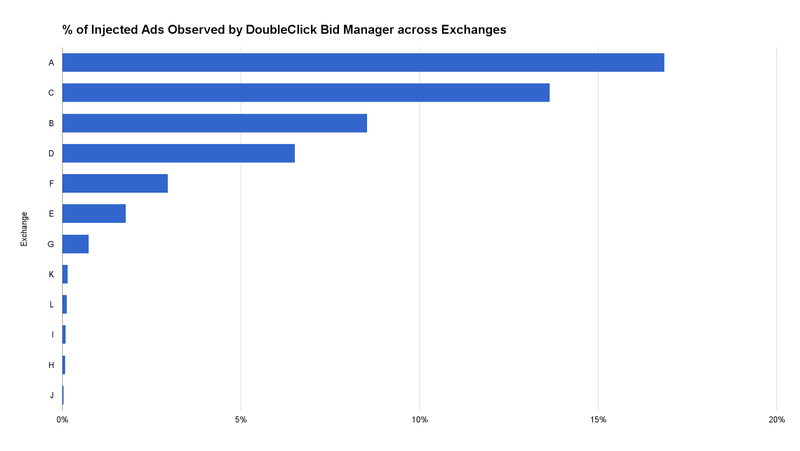 Now advertisers using DoubleClick Bid Manager can avoid injected inventory across the web. We don’t expect the steps we’ve outlined above to solve the problem overnight, but we hope others across the industry take action to cut ad injectors out of advertising. With the tangle of different businesses involved—knowingly, or unknowingly—in the ad injector ecosystem, progress will only be made if we all work together. We strongly encourage all members of the ads ecosystem to review their policies and practices and take actions to tackle this issue.